We have an excellent pick-up and drop-off service. 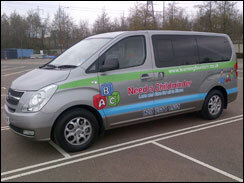 We can pick-up or drop-off your child at the time you tell us, which can assist in freeing up and saving your time. The safety and comfort of the child is our first priority and we ensure that the child feels comfortable and engaged with us. We will pick the child from your door step at the time you tell us. If you live in a flat, apartment or high rise building, we will come up to the floor and take your child right from your door. We do expect the child to be ready for pick-up. We will drop the child at your door step at the time you tell us. If you live in a flat, apartment or high rise building, we will come up to the floor and drop your child right at your door. We do expect you or someone that you have designated to be at home to receive the child. We will not drop-off the child if anyone other than you or the person you have designated is not at home. We will drop the child at the class door or the designated children assembly area. We will stay with the child till such time the child enters the class or the school teacher takes over. If drop-off is at a breakfast club or play hall, then we will leave once the child enters the breakfast club or play hall. We will pick-up the child from the class door or the designated children pick-up area. We will drop the child at the door or the designated area at the time you tell us. We will stay with the child till such time the child enters the class, building or handed over to the designated person. We will pick-up the child from the building door or the designated children pick-up area at the time you tell us. 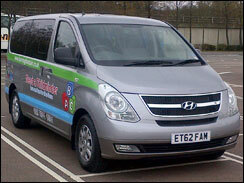 View the area that we normally cover for Clubs / Gyms / Classes. If your pick-up/drop-off point is beyond our coverage area, we may still be able to pick up, drop off or both but will charge extra. IMPORTANT: For all pick-ups, our care-time starts from the time when we start our journey to pick-up the child(ren). Time taken to reach the pick-up point is added to the care-time. Please read our terms and conditions for more details. 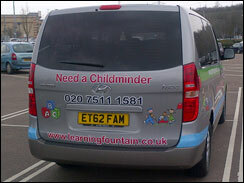 You can discuss this with us at the time of your childs registration, we do charge extra for this.